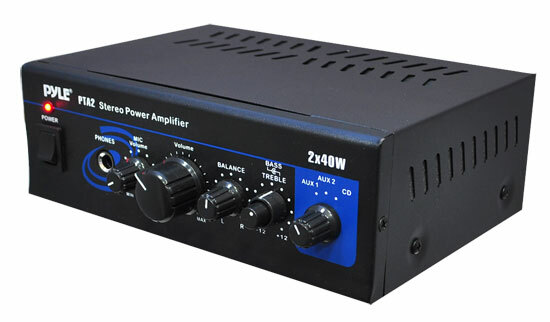 Pyle Pro's PTA2 combines the usefulness of a small, take-anywhere amplifier with a full featured mixer. 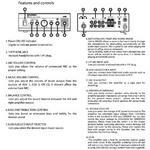 Three stereo line-level inputs and a 1/4" microphone input are provided for source connection and mixing. 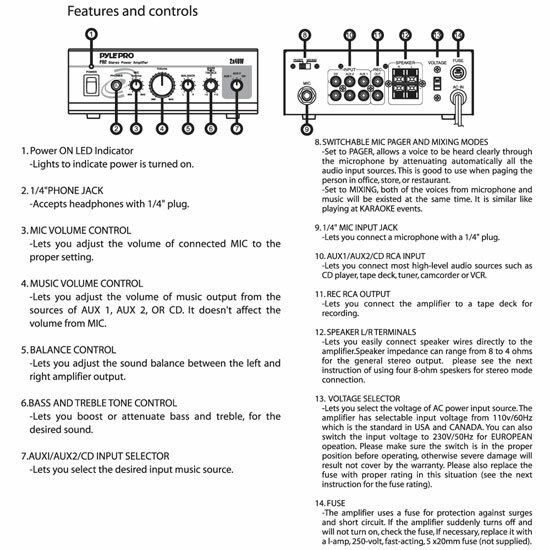 A pager switch provides source attenuation for microphone priority. Stereo recording is made possible by the built-in line-level outputs. Balance, tone, speaker volume, microphone volume, power, and source selection controls are front-mounted for quick adjustment.